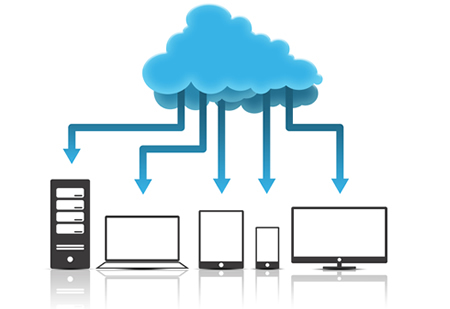 Cloud adoption amongst enterprises in Nigeria has more than tripled in the past few years, owing to the fact that a lot more organisations now understand that cloud solutions help create new growth opportunities besides also delivering better return on investment, service delivery and speed. The increased adoption of cloud based tools is even more evident as estimates by IDC suggest that Nigeria’s IT spend in 2017 reached 1.8 billion USD and will increase in 2018. This has prompted Comercio, an expert public platform creating company’s move to launch the first local enterprise public cloud platform in Nigeria with a vision to create a public cloud platform for medium and large enterprises and to provide the same services as Microsoft Azure and Amazon Web Services here in Nigeria. Public cloud is defined as computing services offered by third party providers over the public internet, making them available to anyone who wants to use or purchase them. Unlike private clouds, public clouds can save companies from the expensive costs of having to purchase, manage or maintain on-premises hardware and application infrastructure – the cloud service provider is held responsible for all management and maintenance of the system. Adejumo added that; “the other great advantage is their time to market. Adeyegbe, managing director of Comercio Cloud, also stated that they have a number of advantages over the notable foreign cloud platforms. “This platform has a lower latency than offshore platforms. It takes on average less than 25 percent of the time to retrieve data from an offshore cloud platform,” she said. Overall there is a greater peace of mind on a local cloud platform and from our local economic point of view, it reduces capital flight and encourages job creation. Comercio says its providing an adequate platform for data centers to build a public cloud platform. It currently uses at least two of Nigeria’s data centers to provide redundancy and disaster recovery capabilities. Using VMware technology, they are able to move their cloud infrastructure from one location to another in the event of a failure with little or no data loss. Another important aspect of the cloud platform is security. Comercio Public cloud adheres to international standards like PCI-DSS (Payment Card Industry Data security standards), ISO 27001, (Information security management system) and ISO 9001 (Quality management system).